With three of DC's Extended Universe films already having hit theaters, its about time we start hearing more about their upcoming projects. One such project is James Wan's (The Conjuring) Aquaman film starring Jason Momoa in the lead role. We haven't heard much about the film aside from the fact that Amber Heard will be playing his love interest Mera, but it looks like we now finally know who the villain will be. Comic book fans will be pleased to here that Aquaman will apparently be facing his arch-nemesis Black Manta on the big screen. The news of the character's inclusion comes courtesy of The Wrap, but both director James Wan and Warner Bros. refuse to confirm or deny if this is true. 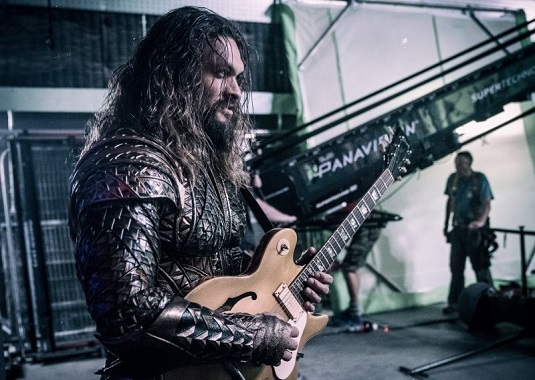 It would seem like a safe bet to assume the character will be making an appearance, especially considering Aquaman's less than impressive rogues gallery to chose from, and Black Manta's significance in the comics. While many might have thought the first film would start with a smaller threat and we'd see Manta in a sequel, it seems Wan really wants to impress audiences with the action and high stakes of the first Aquaman movie. DC's movies as of yet have really struggled with their villains, and its been an area of their films that has been heavily scrutinized by critics. Both the villains of Batman v. Superman and Suicide Squad were considered to be either under used or poorly written, and this will hopefully be mistakes the studio learns from for future movies. 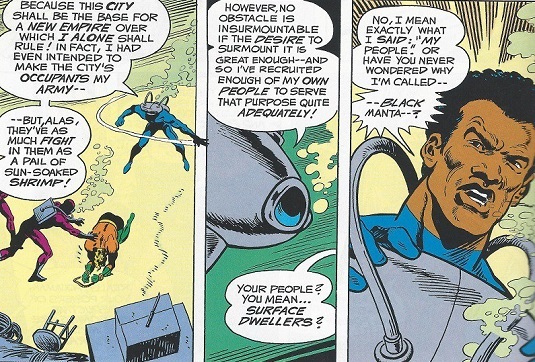 Black Manta has some pretty clear motives in the comics, with even aspects of his race and discrimination coming into to play at a point. Its unknown whether Wan will be keeping that part of the character intact, but it would certainly make for some interesting on screen drama. No actors have been rumored for the part just yet, but we can expect to hear some names thrown around soon. 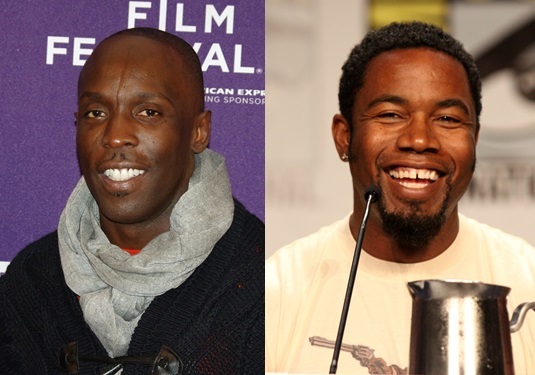 Several actors have already come out on social media to express their interest in playing the role, one of which is The Wire's Michael K. Williams. Williams may be a bit older than the studio is looking for, but he can certainly play the dramatic side of Manta. Michael Jai White who is best known for playing Spawn and Black Dynamite has also expressed interest in the part, and he'd definitely make for a compelling physical match for Momoa's Aquaman. 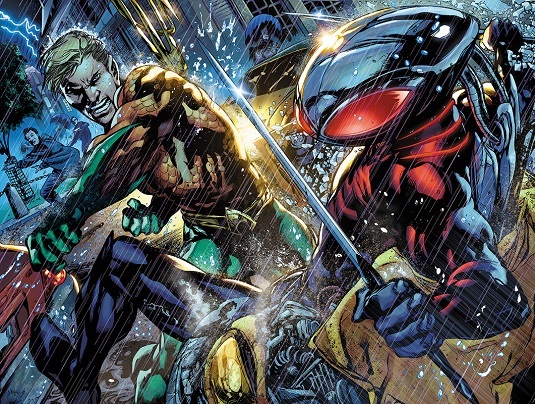 So what do you think of Black Manta being the villain in Aquaman? What actor would you like to see play the role? Let us know below!